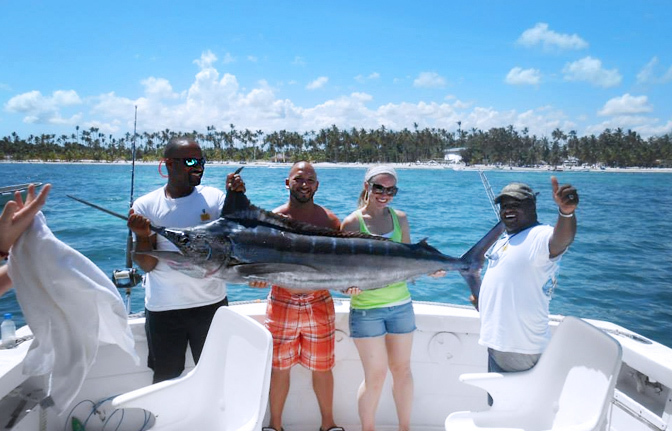 It is a nice deep sea fishing trip of 4 hours with a professional crew that will be at your service and is specially equipped for this fascinating activity.This tour is a thrilling activity recommended for all levels of fishing passion! Our staff onboard will walk you through the basics of using the equipment and If it is your first time they will go over the technique with you before it's your turn to try! 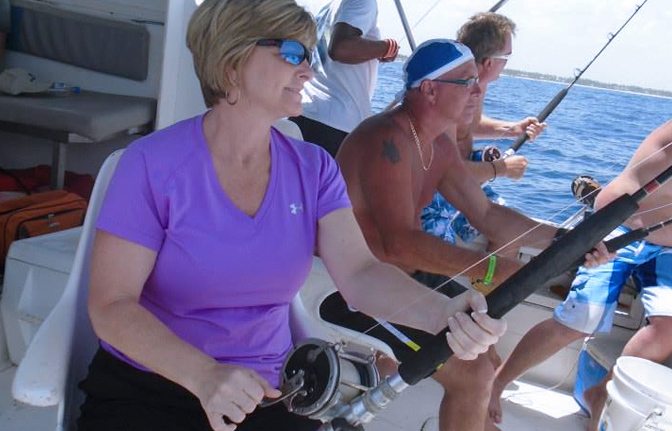 They will all strive to make sure your fishing trip turns into a very safe, exciting and memorable adventure. 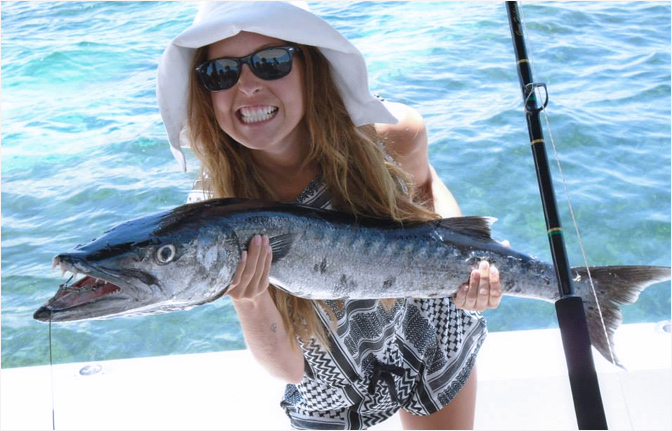 The quality of the waters of the fertile Caribbean Sea makes it the ideal place for you to try to catch fish of you dreams. 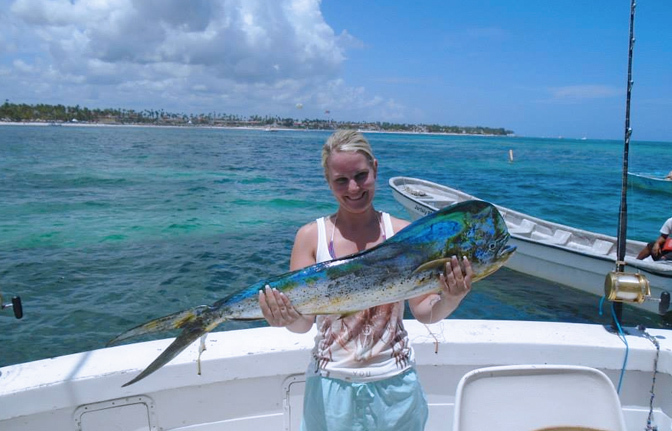 You will be throwing the lines in the sea and depending the season there are a variety of different fish you could catch. 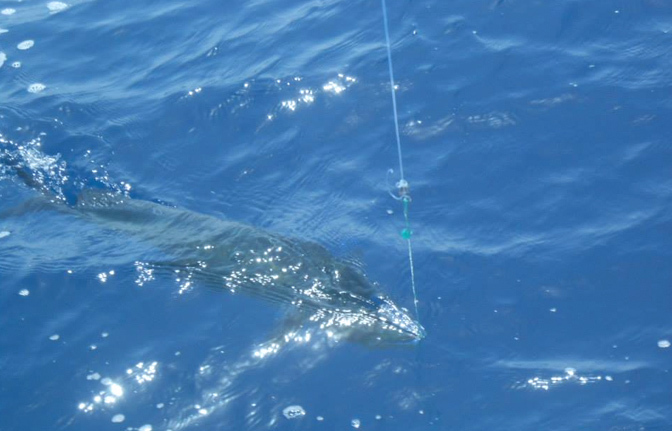 Some of the most common include Barracudas, Tuna, Blue Marlins and Maui Maui, among others.Marlins are caught year round as well as many other pelagic game fish species. Your tour is guaranteed to be an entertaining adventure should you be experienced or are just a starter. 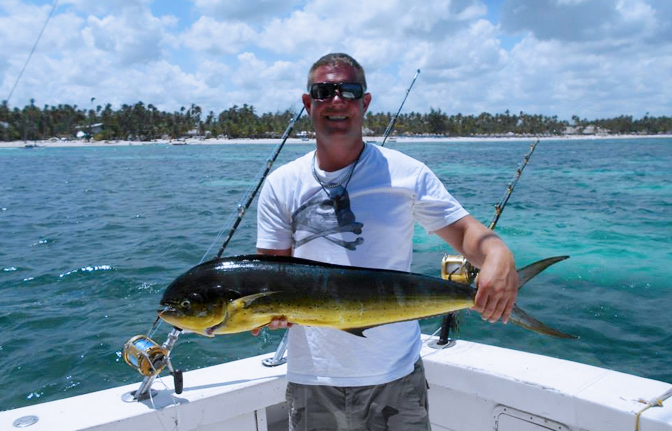 Nothing like a relaxing day out fishing off the coast of Bayahibe! This trip will also allow you to enjoy beautiful views of Dominican Republic coastline includes also a stop for a quick swim at a waist deep Natural Swimming Pool with crystal clear, transparent waters. Grab a cold drink and enjoy the Caribbean sun! Rum, water, coke and beer are included. Take advantage of our crew’s fishing knowledge and hopefully at the end of the trip you will have some great fishing memories for a lifetime. At the end of this great fishing experience we will take you back to your hotel. Good health is required to participate on this tour. Minimum age to participate is 12. Pregnant and/or handicapped persons cannot participate. You will be required to sign a liability disclaimer.